For the final bash no special guests are booked. 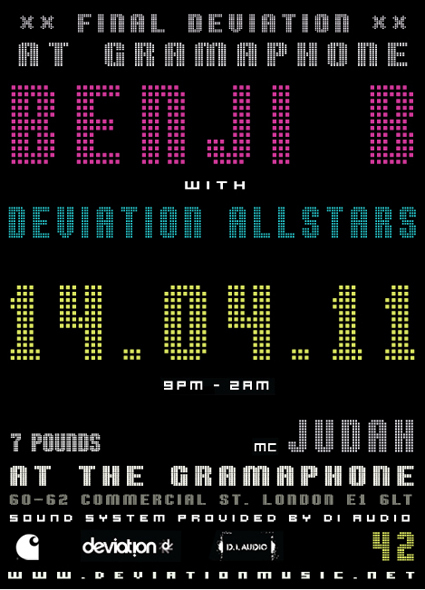 Instead resident Benji B will be doing an extended set while the rest of the Deviation family will be opening up the dancefloor for the first hours. Funnily enough all this happens for the first time on a Thursday night. Why they say goodbye to their party home and where they relocate is not yet published. To get news check the Deviation blog or come around to dance – you may hear the latest tidings on the dancefloor.